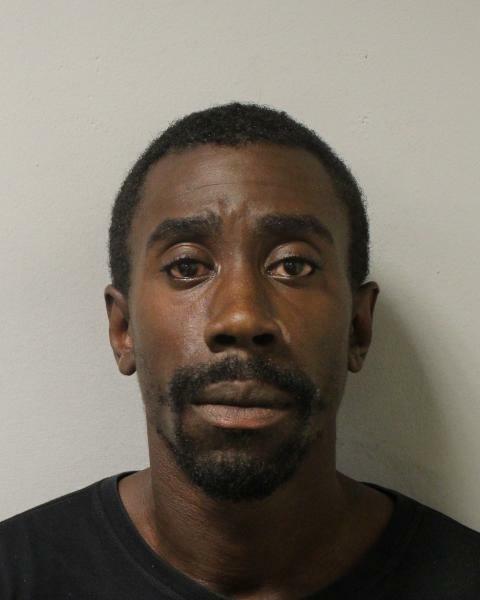 A ‘dangerous’ and ‘cowardly’ man who targeted lone women in a series of terrifying robberies across Newham has been jailed. David Blyth, 30 (30.12.88), of Romford Road, E7, was sentenced to nine years’ imprisonment at Snaresbrook Crown Court today, Monday, 4 March. He was ordered to serve a further seven years on licence. 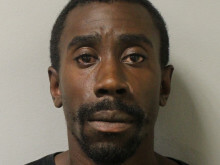 Blyth pleaded guilty to 10 counts of robbery at Snaresbrook Crown Court on Monday, 7 January. He pleaded guilty to an additional count of robbery at the same court on Friday, 1 February. The 11 offences were a linked series of robberies that happened between July and August 2018 in the Stratford and Forest Gate area where lone females aged between 26 and 48 were targeted. Most of the robberies were at knifepoint and Blyth usually stole the victims’ vehicles. Detectives from the North East area’s CID investigated and carried out a number of extensive enquiries including forensics, witness and victim interviews and reviewing hours of CCTV footage. Blyth was identified as a suspect due to looking identical to the male seen in CCTV footage, matching the suspect description given by the victims and because he was living near the locations of the robberies. Blyth also had previous bad character and only got out of prison on 15 July 2018, two days before the linked series started, for a knife point robbery on a lone female in a vehicle in 2015. Blyth was arrested on 4 September 2018. In the police interview, Blyth admitted that the male on the CCTV in Church Street, E15 on 22 July 2018 was him, placing him at the location of the knifepoint robbery. The CCTV also shows Blyth loitering in the street shortly before the offence. Blyth was charged with the Church Road robbery on 6 September 2018. Following further enquiries, Blyth was charged with the other 10 robberies on 25 October 2018. Blyth’s victims have been left extremely distressed by their ordeals. Blyth’s first victim in this series of robberies, a 35-year-old woman, was sat in her car in Eastern Road, E13 on Thursday, 19 July when she was grabbed around the mouth by Blyth. She said: “After the attack, I had sleepless nights and nightmares. I was very nervous. I felt that I had to always look over my shoulder. I couldn't stop crying for a long time and it also affected me mentally, emotionally and physically. Another victim, a 31-year-old woman, who was attacked by Blyth in Warwick Road, E15 and put in a headlock said: “Unfortunately this awful robbery that I had to endure has affected my self-esteem and self-confidence. I am petrified of men in general when I am walking on the road during the day and if a man comes close to me I have a tendency to jump. This has become worse as the time has gone on and I will say that this robbery has affected me more than I could have imagined. At today’s sentencing, the investigating officer Acting Detective Sergeant Edward Rulton, was praised by the Judge for his ‘great detective work’ and was awarded with a commendation. A/DS Rulton said: “This was a particularly violent series of robberies, which had a severe impact on the victims involved. The attacks were cowardly and the victims have been very courageous throughout the investigation. “This was a complex and rapidly evolving investigation, but I would like to thank all of the officers involved for their hard work. The evidence against Blyth was overwhelming and as a result he pleaded guilty to 11 robberies. The victim, aged 35, was sitting in a car with the window open when she was grabbed around the mouth by Blyth. He forced the victim into the passenger seat, drove the car off and verbally threatened the victim. The victim managed to roll out of the vehicle. The 35-year-old victim was in her car with the passenger window open when Blyth approached the passenger door armed with a knife. Blyth got into the vehicle and told the victim to close the window and drive off. He got the victim to pull over and demanded what she had, taking cash and her mobile phone. He then grabbed her around the throat and pushed her head into the centre console of the vehicle. He then said ‘you didn't see me, I know where you live and don't tell anyone’ before he got out the vehicle and ran off. The 26-year-old victim got into her vehicle when she was approached by Blyth who held a knife to her head and threatened to kill her unless she gave him the car keys. She handed over the keys to Blyth and he drove off. The 33-year-old victim was with her 15-month-old son when she parked the car. As she got out she was approached by Blyth who held a knife to her face and demanded the car keys. She handed over the keys and said her baby was in the back of the car. Blyth told her to get her baby, which she did before running off and calling the police. When officers attended, they found vehicle had not been stolen. It transpired Blyth had trouble starting the car and so he made-off on foot. The 48-year-old victim had been shopping when she returned to her car and sat in the driver’s seat. Blyth knocked on the victim’s door before getting into the passenger seat. He demanded the victim’s car keys and then tried to bite her when she did not hand them over straight away. The victim asked if she could get her handbag but Blyth said no before driving off with the vehicle. The 27-year-old victim was in her car with the windows down when Blyth approached her window, held a knife to her bicep and told her to get out the car. Blyth drove off with the vehicle. The 35-year-old victim was reversing her car with the windows down when Blyth appeared at her window and told her to ‘get out of the car’ in an aggressive manner. The victim got out of the vehicle and Blyth drove off with it. The 31-year-old victim got out of her vehicle and began to walk towards Romford Road when Blyth appeared in front of her and grabbed her phone. The victim held onto it and screamed for help. Blyth put the victim in a headlock and covered her mouth with his other hand. The victim let go off her phone and Blyth pushed her to the floor before taking her backpack. The 32-year-old victim saw Blyth walking in her direction from Abbey Road DLR. As she got to the junction of Mortham Street, Blyth crossed towards her and suddenly grabbed her by the throat with both his hands and pushed her to the floor. The victim tried to fight back when Blyth got up and kicked her. He grabbed her bag and they both started pulling on it. Blyth then swung with his right arm to punch her but missed. The victim managed to run off with her bag. The 41-year-old victim got in her car and sat in the driver’s seat when she was immediately approached by Blyth who opened the door and said ‘don’t shout or I’ll kill you.’ He grabbed the keys and started to get in the car. The victim managed to escape out the passenger side and Blyth drove off in the vehicle. The 36-year-old victim had just got into her car when Blyth opened the driver’s side door and began to push her into the middle of the car saying ‘move over, get down.’ The victim fought back and shouted at him to ‘go away.’ He then grabbed the victim’s bag before running off. David Blyth, 30 (30.12.88), of Romford Road, E7 has been jailed for a series of robberies in Newham.